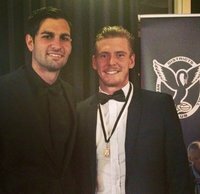 RYAN Davis confirmed himself as perhaps the WAFL's best pure match-winner throughout the 2014 season and he was rewarded for his career-best consistency by winning the Swan Medal as Swan Districts' fairest and best player on Friday night. 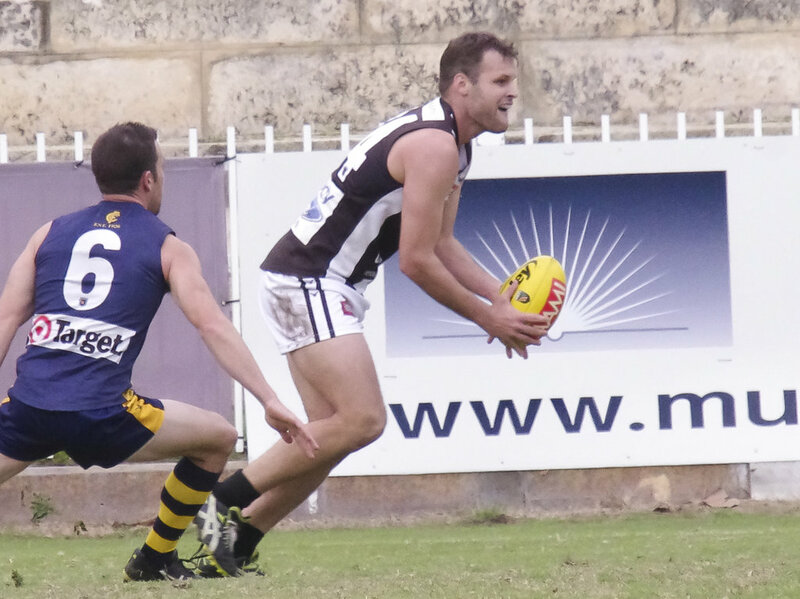 Davis also brought up his 100th WAFL game with Swan Districts during the 2014 season and not only has amassed 115 games with the black-and-whites, but is a 2010 premiership player, West Australian representative and now a Swan Medal winner. Davis has finished behind Josh Roberts, Andrew Krakouer, Tallan Ames, Shaun Hildebrandt and Tony Notte in previous Swan Medal counts, but took out the fairest and best award for 2014 with 145 votes. He won ahead of reliable and consistent defender Justin Simpson who polled 106 votes with the creative Kirk Ugle third on 65 votes, midfielder Adam Faulkner fourth on 62 and the hard-running Aaron Elari fifth on 61. 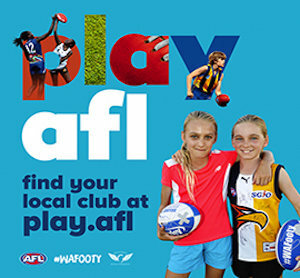 Davis originally arrived at Swan Districts while with the West Coast Eagles after being picked up from New South Wales, but he has only ever played his WAFL football with Swans deciding to sign full-time with the club once delisted from the Eagles. He was always a good player up until the end of the 2012 season largely running off half-back and through the middle, but the last two years has seen him emerge as one of the elite players in the competition and a pure match-winner playing mostly as a forward. The 25-year-old has shown the ability to take over games and put in unstoppable performances while also having the ability to kick crucial goals with games on the line which he did at least twice in 2014 in wins over Perth and South Fremantle in particular. Throughout 2014, he kicked 36 goals in his 21 matches including three bags of five goals in Round 11 against Subiaco, Round 15 against West Perth and Round 21 against South Fremantle. Davis claimed the Swan Medal for his 2014 season on Friday night at Steel Blue Oval winning ahead of Simpson who continued his run of remarkably consistent form for Swans. 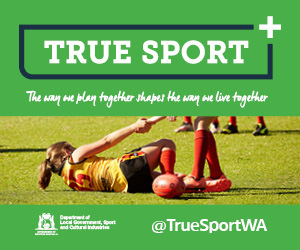 The 26-year-old began his career at Swans as a forward and even kicked five goals in the 2010 preliminary final and Simpson was then centre half-forward in the premiership team, but in recent years he has settled as a defender and made the role his own. While being strong defensively also, Simpson's great strength has been chopping off opposition team's forward attacks with his ability to read the play a standout along with setting up attacks going the other way. 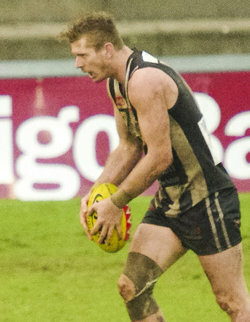 Simpson averaged 21.5 possessions a game throughout 2014 highlighting how big of an attacking force he was as a defender and the 136-game veteran only narrowly missed out on winning his first Swan Medal. 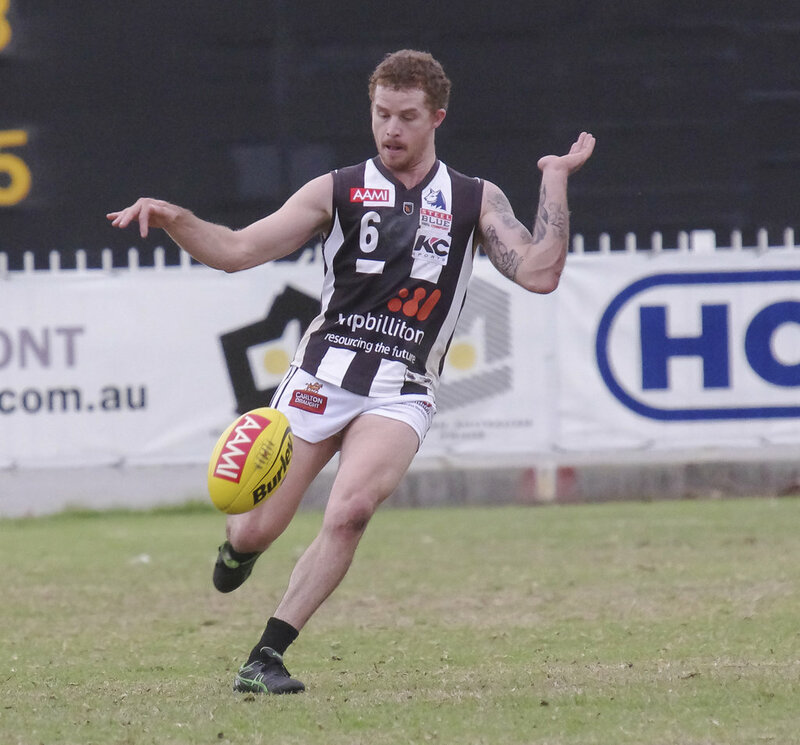 Ugle has now been back with Swan Districts for two years following a year in the AFL with Collingwood, and the 22-year-old was outstanding as a running defender right throughout the year to end up third in Swan Medal voting. 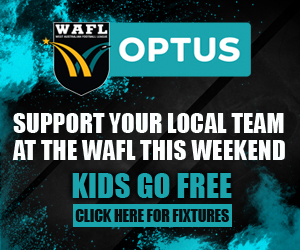 The left-footer averaged 19 possessions a game throughout the season and put in some particularly stunning individual performances including a remarkable final quarter to set up the comeback win over South Fremantle in Round 13 at Fremantle Oval. Faulkner has had to bide his time having played just 33 league matches in three years coming into 2014, but following the string of departures of the likes of Tom Roach, Shaun Hildebrandt, Brett Robinson and Wayde Twomey, spots opened up and he grabbed it. The 22-year-old became a prolific ball winning midfielder averaging over 22 disposals a game with his work in and under crucial to Swans' form throughout the year. As a result, he came fourth in Swan Medal voting. 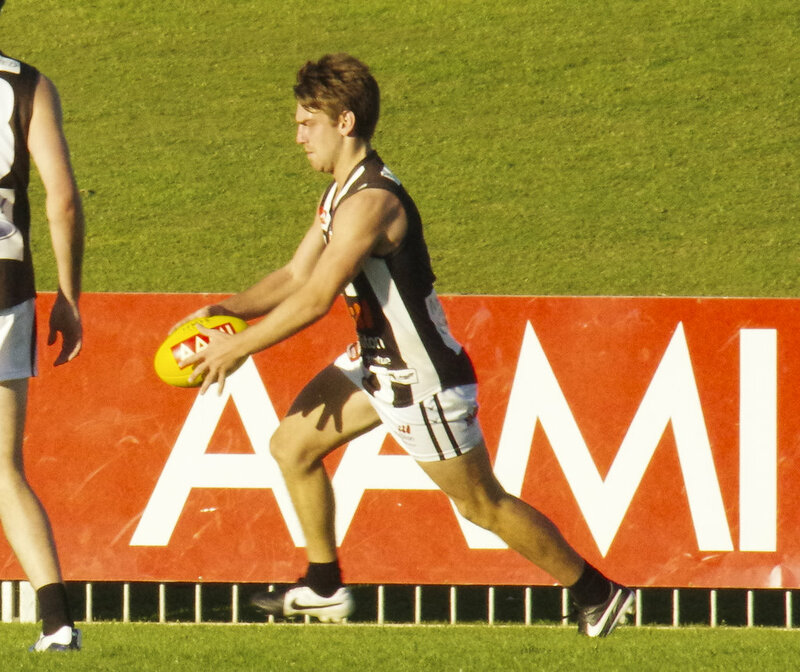 Elari was another to play a variety of roles throughout 2014 for Swan Districts and he was a strong contributor wherever he played finishing up averaging 22.4 possessions and ending up fifth in fairest and best voting. Ricky Cary was presented with the leading goalkicker award after booting 49 goals from full-forward in his first season of league football while ruckman Nathan Blakely took out the Rookie of the Year award for his outstanding work carrying the ruck almost single-handedly. Graham Jetta brought up his 100th game during the season and the premiership player was awarded the Jack Hickling Award as the most outstanding player on and off the field at Swan Districts. Jacob Burnham was named the fairest and best of the Swan Districts' reserves team for 2014 winning ahead of Jesse Manton, Rudy Riddoch, Ethan Hughes and Rudy Riddoch. Meanwhile, Swan Districts won the colts premiership in 2014 with Albert Dean claiming the Jack Clarke Medal and the midfielder also claimed his team's fairest and best award ahead of Ethan Maguire, Warrick Wilson, Jack Watson and Nelson Ansey. Swan Districts also presented its Best Clubman award to Marcel Wegglaar who is a life member of the Past Players & Officials Association and a tireless-working, long-time volunteer of the club.